Christy Burzio is a Civil and Commercial Barrister who was called to the Bar in 2010 at Lincoln’s Inn. She specializes in fast-track claims including personal injury, road traffic accidents, credit hire agreements, infant settlements, stage 3 quantum matters and she is keen to develop her growing commercial practice. She is based in London and is happy to travel. Prior to pupillage Christy worked as a Visiting Lecturer at King’s College London, the London Business School, Birkbeck and SOAS for undergraduates and masters students. She sat on the Audit, Risk and Compliance Committee at King’s College London and was invited to the Congress of Fellows at the Centre for International Legal Studies. Christy has published her research work worldwide. Christy also undertook work as an arbitral assistant in a multi-million dollar gold mine dispute heard in London. She was a representative at the Free Representation Unit in Social Security matters and an adjudicator at the Financial Ombudsman Service. Christy’s hobbies include running, rock climbing and travelling the globe. She also has a keen interest in basketball, particularly the American NBA team the Chicago Bulls and her local team the London Lions. In my line of work I was fortunate to deal with Ms Christy Burzio on numerous occasions. Through dealing with Ms Burzio, it became clear that she is an exceptional Counsel; I found that she has a profound legal knowledge and she was able to apply this knowledge to the all the cases she was instructed on successfully to maximise my client’s damages without fail. Ms Burzio is also a great communicator, she always reviews our instructions in good time prior the hearing providing advice and seeking clarification if need be and her communication is always clear and precise. She has always provider outcome within the agreed timescale in a comprehensive attendance note clarifying the arguments submitted and the Courts’ reasoning for decisions. Ms Burzio is always willing to go the extra mile; for example she has previously highlighted the prospect of success in some cases, engaging in direct negotiations with the third party Counsels prior to the hearing in attempt to avoid any prospect disadvantageous outcome in the hearing, successfully reaching amicable and satisfactory settlements. In all, I find Ms Burzio’s work ethics admirable and an example to be followed and I commend her for her effort to do the best for her clients and I am confident that she will always be able to achieve the best results. Having attended one of our Stage 3 hearings with Christy I was extremely impressed with the amount of work that she had done on the file exceeding what we normally expect of Counsel. As well as having an excellent grasp of the brief Christy was extremely constructive in her advice and had picked up on issues that we had not considered. 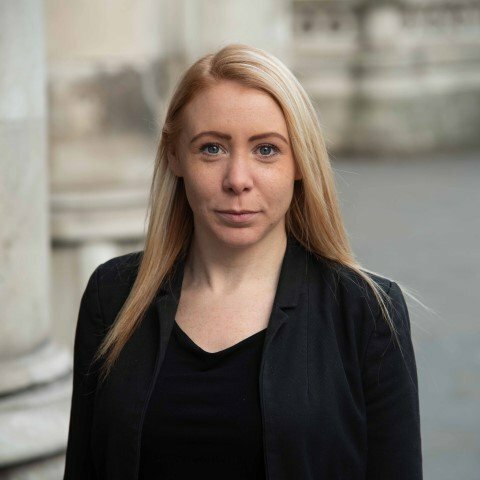 Christy then went on to settle the claim on very favourable terms and her firm discussions with the Defendant Counsel were in stark contrast to her pleasant manner in dealing with us. I was very impressed all round by her performance and we now seek to instruct Christy as one of our favoured barristers. Outside of these key areas of law, Christy Burzio (2010) is always willing to consider any enquiry requiring the experience or knowledge needed to help you or your client. Please call Christy direct or the support team on 01823 247 247 if you would like to discuss any aspect of this profile.